I took a break from brushing Teton’s teeth for a while. It’s not that oral hygiene isn’t important to us, but T was getting a dental chew a day and a raw bone on occasion, so that was keeping his teeth and gums pretty clean. So, we’re back to it. Teton doesn’t love it, but it’s not as bad as getting a bath, so he does all right when I pin him down and brush the ol’ pearly whites 3-4 times a week. If you haven’t already given brushing your dog’s teeth a shot, I encourage you to do so. Regular brushing will prevent gum disease, tooth decay, gingivitis, and…bad breath. 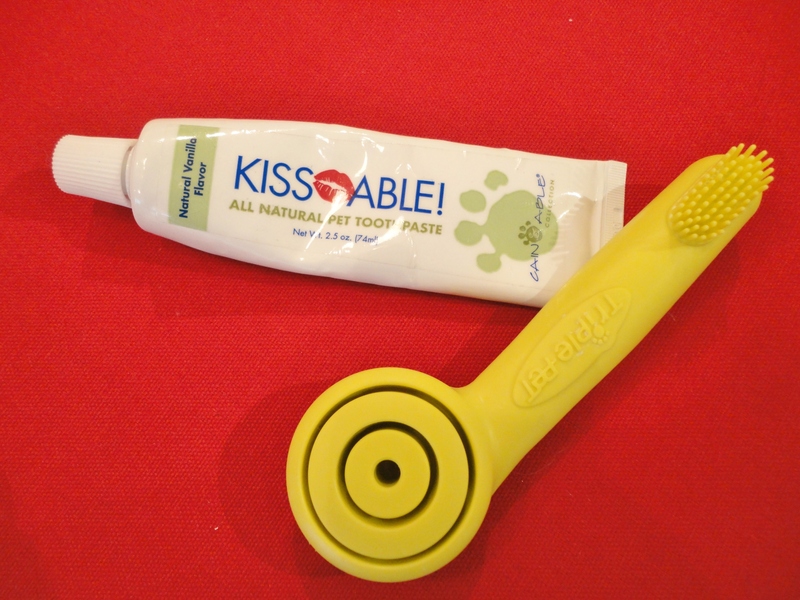 What do you do to keep your dog’s teeth clean? Posted on April 30, 2013 by Shannon	This entry was posted in Medicine Cabinet. Bookmark the permalink.